Approximate Measurement: 4.25" L x 2"W x 1.75"H inches. 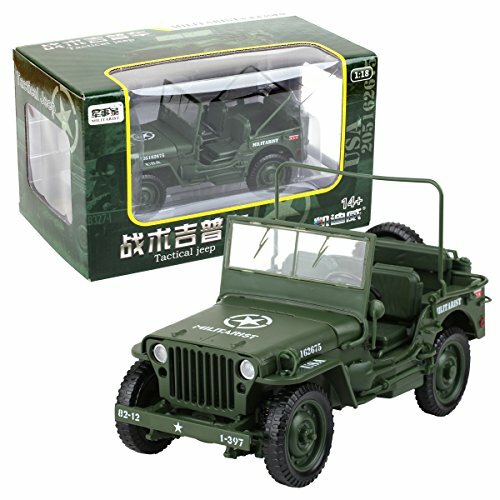 PACKAGE INCLUDE: Tank model *1 Jeep model *1 Panzer model *1 Light anti-air vehicle model *1 Attack helicopter model *1 Scout helicopter model *1 MONEY BACK GURANTEE: We Make Certain That We Will Give You 30 Days Warranty As Long As You Purchase "Original Color" Product. You Don't Need To Worry About The Quality Of Toys, We Will Deal With Your Concern If You Have Any Dissatisfaction. So Leave Out Your Doubt, Enjoy Our Services. BEST FOR KIDS & TODDLERS. 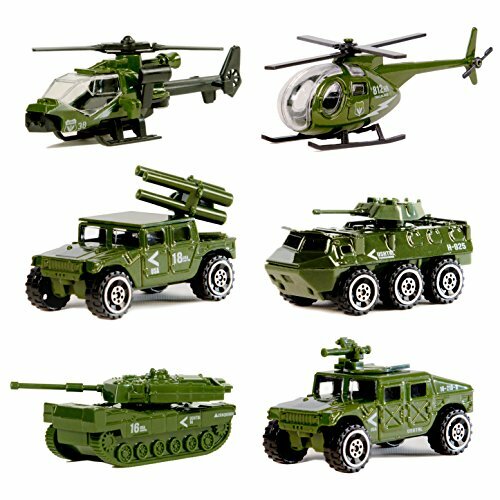 The army vehicles toy was designed with realistic features in a smaller scale base on real military cars, a great toy to intrigue a young mind and give them a start at planning and construction using their hands. WARNING: Do not keep the small parts of the toy in mouth ,please let your child play this set under adult supervision. 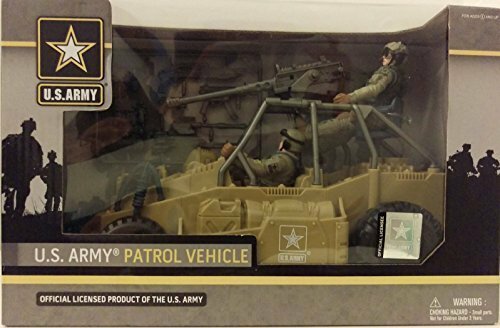 U.S. Army Patrol Vehicle (Official Licensed Product of the U.S.
Strong in mind, body, and soul. U.S. Army Soldiers are part of a unique team that are trained to protect us, think, act and live by values and a creed. Support the U.S. Army! 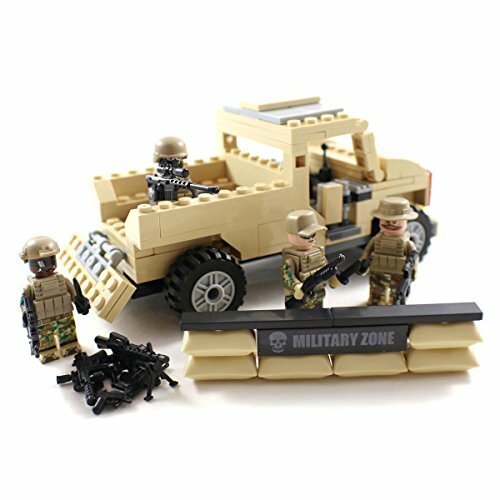 This set consists of 175 building blocks which can be assembled into a military pickup truck with accompanying US army marines. Of course the set also comes with a full colour manual with detailed instructions on how to assemble the vehicle. The blocks are made from certified ABS plastic and are fully compatible with other major brands of building blocks. 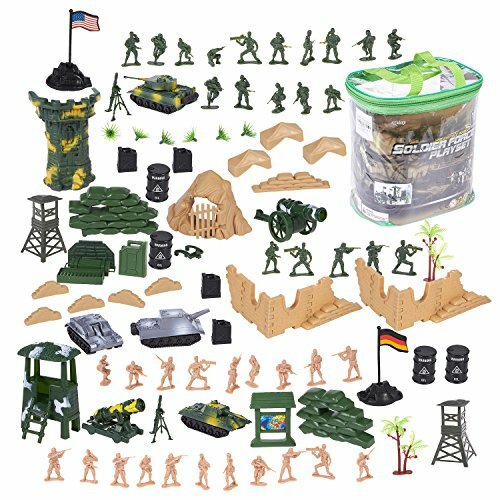 Keep your children busy and let their imagination run wild with this toy army playset. This package includes 100 miniature soldier figures and battlefield accessories. There are a total of 39 soldiers in a variety of different battle poses such as shooting or running. The package also comes with 2 flags and a variety of battlefield accessories such as sandbags, fences, brick walls, steel drums, tanks, observations posts, trees, grass, etc. The figures are made of polypropylene plastic making it safe for children to play with. However, this toy set is not recommended for children under the age of 3 and parental supervision is advised. The smallest piece in this figure set is 1.3 x 1.2 x 0.6 inches. The largest piece is 3.7 x 2.3 x 5.1 inches. 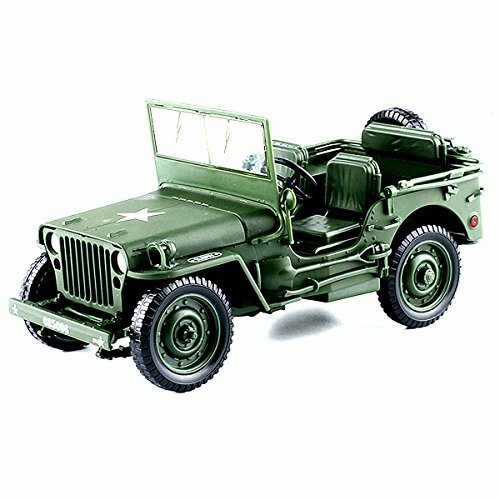 An authentic and highly detailed 1:32 scale replica of the popular World War II military jeep. 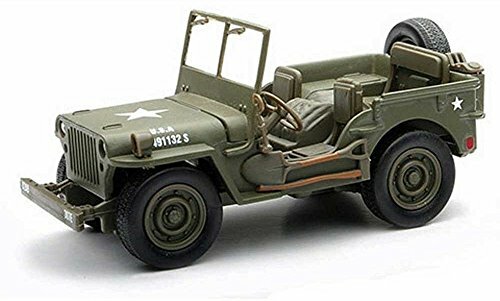 History buffs of all ages are sure to love this museum quality replica of one of the most famous military jeeps from World War II. Package includes educational facts and stats. Measures 4.75 inches long and 2 inches tall. The M113 Family includes approximately 12 variants of light armored tracked vehicles used in a variety of combat and combat support roles. Total density exceeds 28,000. 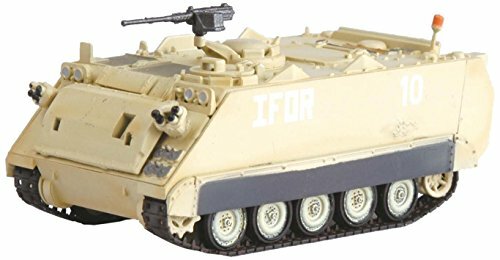 Today's M113 Family of Vehicles is composed of a mix of derivative systems consisting of the A1, A2, A3 and configurations. 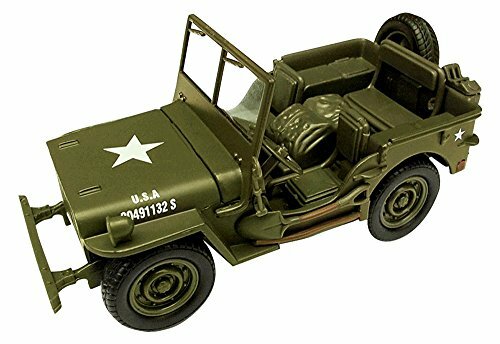 Looking for more Us Army Military Vehicles similar ideas? Try to explore these searches: 8 Mm Inlet Fitting, Disney Bunnies, and Vermeil Gold Plated. Look at latest related video about Us Army Military Vehicles. Shopwizion.com is the smartest way for online shopping: compare prices of leading online shops for best deals around the web. Don't miss TOP Us Army Military Vehicles deals, updated daily.